Update (February 19, 2018): SpaceX’s launch has been delayed to February 21 to allow for more detailed inspections of the updated fairing; the exact takeoff schedule hasn’t been announced yet, but we’ll update this post when we learn more. Following the success of its Falcon Heavy launch, SpaceX is gearing up for its next mission: sending satellites into orbit so they can beam down internet access to earth. The company isn’t making a lot of noise about it just now, but from this letter it sent to the Federal Communications Commission last week, and a license that the agency granted the Elon Musk-fronted firm last November, it’s clear that the Falcon 9 rocket that will take off on Saturday will carry two Starlink satellites alongside Spain’s Paz mission payload. 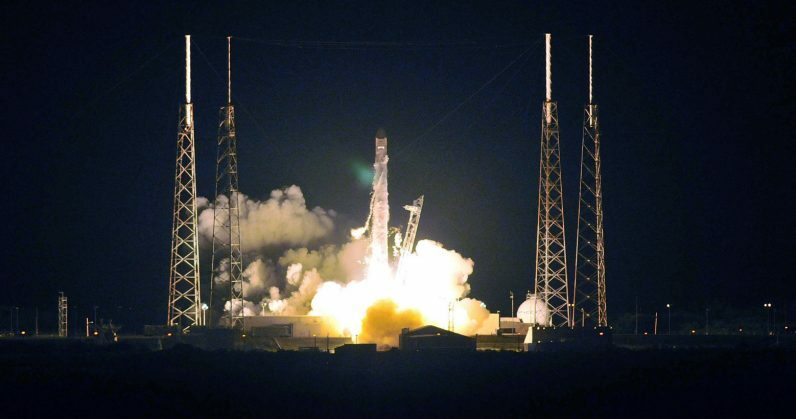 Back in May 2017, SpaceX appeared before the US Senate Committee on Commerce, Science and Technology and explained its plans to launch thousands of satellites to enable broadband access worldwide, between 2019 and 2024. Why? to build an ISP and earn money to fund missions to Mars, of course. It’ll be interesting to see what becomes of this initial launch, as it’s ahead of the schedule laid out before the US Senate. Joy Dunn, the company’s Senior Manager of New Product Introduction, hinted at a satellite launch in a now-deleted tweet earlier this week; going by SpaceX’s tweets, it seems like the mission is a-go and will launch from Vandenberg Air Force Base at 6:17AM PT on February 17.